May 19, 2008 – she eats. 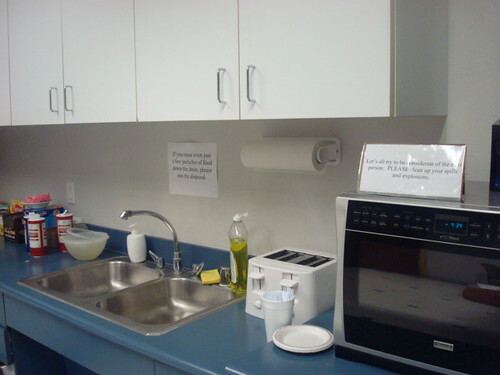 The administrative assistants at my office have a strongly-developed sense of responsibility in ensuring that the breakroom on our floor remains spotless at all costs. 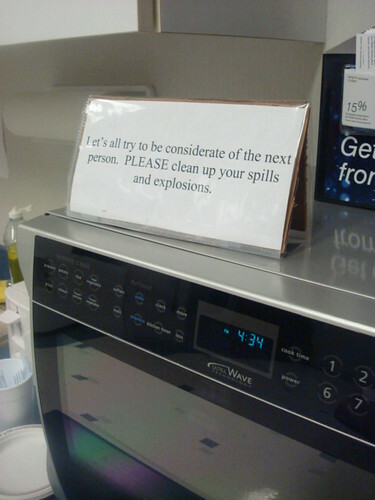 It has even been thoughtfully laminated so as to avoid falling victim to the spills or explosions against which it warns. 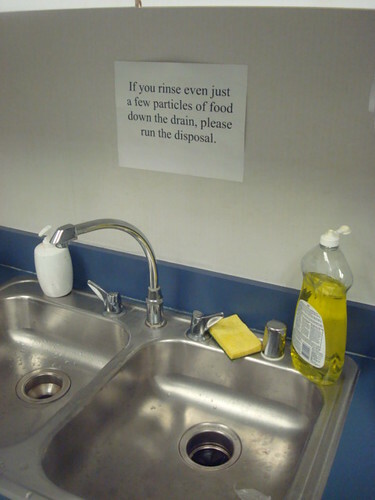 Just in case you are unclear on the concept of running the disposal or the mechanics behind the sink itself, remember that even one minute particle counts towards keeping our breakroom clean and sanitary. What’s more comforting? We are not alone. I’m now envisioning a future where the death penalty here in Texas involves lethal injection of chili con queso. That wouldn’t be so bad, right? Image courtesy of the truly awesome TACO and Save Our Taco Trucks. Posted on May 19, 2008 May 19, 2008 Categories comida autentica, food and the human condition, food news, houston / texas3 Comments on Cuidado!